Forty years after launching Action Global in Cyprus, Tony Christodoulou now oversees a network that stretches from Morocco to Russia to Pakistan. The agency employs almost 400 staff across 31 owned offices in North Africa, Eastern Europe and the Middle East—and earned one of the SABRE Awards for Outstanding Individual Achievement. 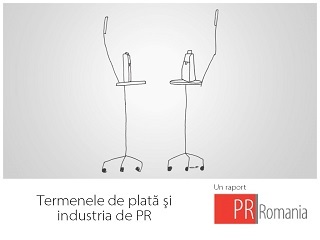 PR Romania has invited Tony to talk about how innovation can transform public relations. 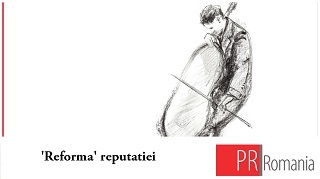 Our business has always been about telling stories. With time we are just telling them in a different way. What was considered innovation 30 years ago might seem incomprehensible to the newest generation of PR professionals. If you take one of our most prominent clients of the time, New Zealand Meat Producers Board, we launched the very first in-store tastings in Greek supermarkets in the 1980s. Before then, supermarket tastings simply did not exist in the Region until we came along and fed the finest New Zealand lamb to shoppers. Whereas in Cyprus my wife Mickey and I visited Cypriot villages where we gave cooking demonstrations of New Zealand lamb to the village communities in order for them to consider using frozen meat as it was extremely tasty and more economic. There was none of this division of labour between media relations and event management that you often see now – my wife and I organised our demonstrations, cooked the meat ourselves, talked to the consumers, organized the tastings and managed all of the media relations. The difference now is that any given country has at least 5-6 different cookery TV shows, supported by a website, social media platforms and apps where viewers can get more information, such as recipes for whatever is being cooked and information on where to buy the ingredients. The stories we are telling for our clients remain fundamentally the same, but now we use different platforms to communicate to our target audiences. I don’t believe that structural organization inhibits agencies from delivering creative ideas and innovative products. With a fresh mindset, flexibility and entrepreneurial spirit you can find the right approach for each and every program. Such structural decisions have to fit with the DNA of a company and serve its purpose rather than package its proposition. In my experience clients are still looking for solutions that work for them combined with a high quality of service, they don’t really bother with how we package this offering. The business has always been more complex than job titles could describe. We are not engineers and titles never fully encompassed the range of abilities and the type of support we provide clients as advisors and not just project managers. One can say there are people who direct, manage or execute as there are those who create content, push it and monitor. I don’t think a clear line can be drawn between them, so it’s mainly a matter of how each agency feels that titles represent what they do. 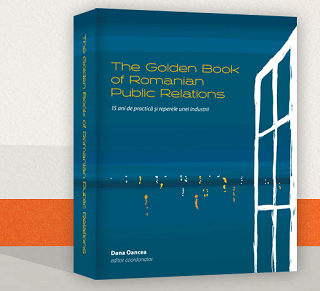 Digital PR clearly has boomed in recent years, as the world embraced social media and all the freedom of expression it brings. This is not necessarily an innovation of the industry, but its need to adapt to changes in society. The industry however has done a great job at it and ‘claimed’ territory because content creation is at the heart of what we do. I think it’s a huge opportunity for brands and PR people, and marketers are doing their best to make the most of it. I certainly hope so. I know at Action this is the only way we work as the entrepreneurial spirit defines us at the core. In over 40 years of work I have seen many generations of PR people and even if lifestyles changed a lot over the decades, people who see their work as more than a job, still make it further. You can never be ready for something you haven’t really experienced, but that’s the beauty of it. Agencies have always proven that they manage to keep up the pace and even be one step ahead to guide their clients into this ‘unknown’. It will be important how quickly they understand, how flexible they are to make the right changes and how eager to keep embracing the new. Forty years after launching Action Global in Cyprus, Tony Christodoulou now oversees a network that stretches from Morocco to Russia to Pakistan. The agency employs almost 400 staff across 31 owned offices in North Africa, Eastern Europe and the Middle East—and earned one of the SABRE Awards for Outstanding Individual Achievement. For the 70-year-old Christodoulou, the agency's continued progression serves as vindication of a pioneering mindset that has seen him launch offices in many countries where others have feared to tread. Along the way, Christodoulou has cultivated a reputation as a fearless client representative, braving conflict and chaos to help steer positive outcomes in a variety of sensitive situations. Action's 40-year relationship with British Airways is testament to this approach. So is Christodoulou's unique approach to management in emerging markets, creating a collegial approach that values relationships above all else.